The first MOSIP Technology Bootcamp was organised at IIIT-B on January 10th and 11th, 2019. 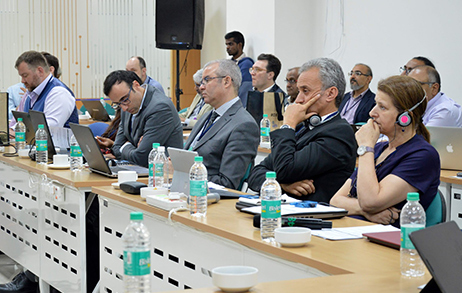 Experts on digital identity, privacy, security and biometrics from India and around the world attended the event. 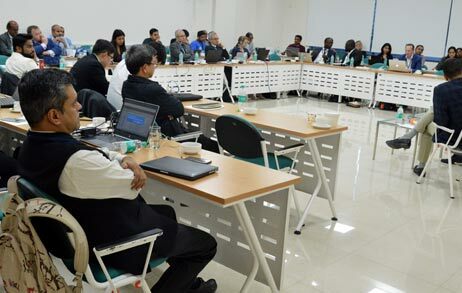 Also in attendance were representatives from countries interested in learning more about MOSIP. The bootcamp was organised with three objectives in mind - first, to share the design and thinking behind MOSIP 1.0 and its core architectural principles, and gather feedback on the same. Second, to discuss new developments and advances in identity-related technologies in order to inform our plans for MOSIP’s future. Finally, the bootcamp intended to seed and create a network of experts to help grow and sustain MOSIP as a flourishing open source platform in the future. The MOSIP team shared its thinking on its architectural principles: Modularity, Configurability, Manageability, Scalability, Privacy and Security, and gathered feedback on the same. Advances in relevant technological fields were also discussed through expert panels and presentations on biometric systems, on digital identity standards, and on building digital infrastructure for development. In addition, the delegation from Morocco shared the status of its ambitious National Population Register (RNP) program being developed with MOSIP as its kernel. Finally, discussions were held on the ways in which MOSIP could kickstart and nurture a vibrant commercial partner, and open source developer ecosystem. The sessions at the bootcamp resulted in valuable feedback and inspiration on the future of MOSIP, the new directions it can develop in and the new partnerships and communities it can build and engage with. Some key priorities that emerged were the need to build local capacity in the regions were MOSIP would be adopted and the importance of building partnerships from an early stage. Valuable inputs occurred on MOSIP’s thinking on privacy and security, including the need to embrace audit frameworks on data protection and privacy, find partners, make sure we’re compliant and contribute our thinking as well. In addition, ongoing discussions were kickstarted on the directions future versions of MOSIP could take, including more thinking around decentralised, federated models, on privacy-preserving biometrics, etc. We hope to continue these and other conversations in future editions of the Technology Bootcamp, with new and existing partners and collaborators.